So I made another distress inked background, but this time a simple one, without spattered paint or water dots. I tried to make one without too much distraction from the sparkly paper in the background, the "big" bang. The card is almost all blue, with a bit of sparkly bronze and black. The light blue sentiment fitting nicely in the colour scheme. Therefore, the blue challenge from Allsorts is a perfect one and hopefully monochrome enough (the sparkly is a bit of a stretch) for the Cute Card Thursday Challenge. 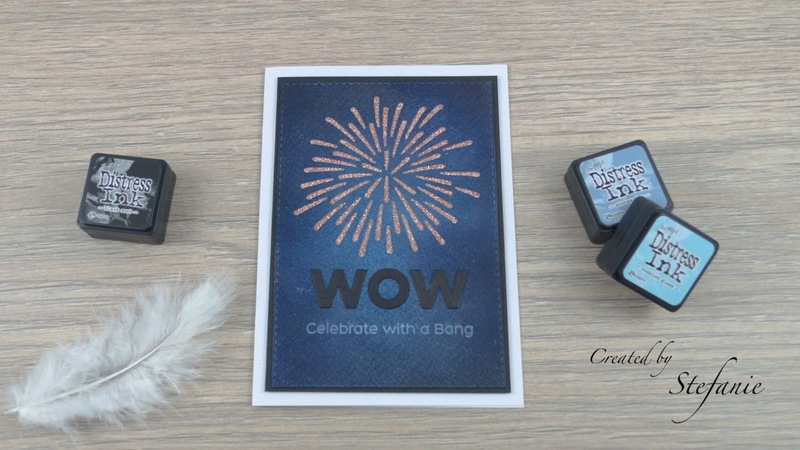 So I spy the B for Blue, Black and Bang for the Stamping Sensation Challenge a fun and very easy card for all the last minute crafters out there! A very striking card in those colours, many thanks for joining our 'water or colour blue' theme at Allsorts challenge. 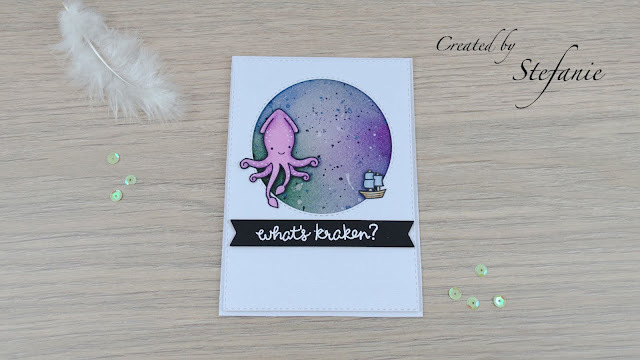 JUst popped back to thank you for also sharing your card with us at Stamping Sensations challenge. Wow, this is absolutely stunning, love it!